I offer purchase options at a variety of price points. In addition to fine art pieces in several media, greeting cards and giclée reproductions of certain works are also available — please see below. Most of the artworks on my website are currently for sale. 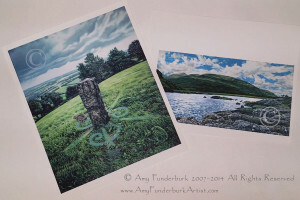 Please inquire about your favorite works by emailing me at Amy (at) AmyFunderburkArtist.com. For your convenience, I accept Visa, MasterCard, Discover, and American Express through the Square. At this time, you can either make payment arrangements by phone or in person. If you have any questions, please contact me at Amy (at) AmyFunderburkArtist (dot) com. Private Lessons and Consultations. I offer private art lessons, critiques, creativity coaching, and personalized art business consultations tailored to your needs and goals. If you aren’t local, I can provide lessons and conduct critiques through Skype. Email me to schedule your lessons or for more information. Currently through June 10, 2018, I am offering a 10-for-9 Spring Art Lessons Special! For additional information, please visit my Workshops and Private Instruction page. Greeting Cards. I am now offering greeting cards of certain works. All cards include envelopes, and are packaged in acid-free bags suitable for safe storage. 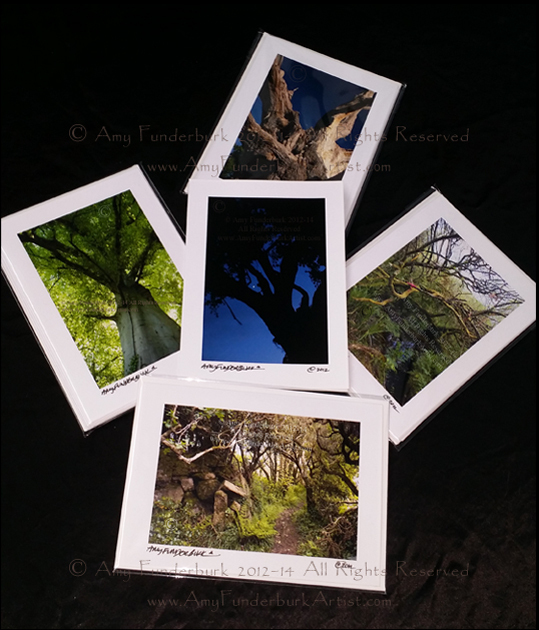 Each card is signed in acid-free ink and suitable for framing as well as sending. Five-pack collections. 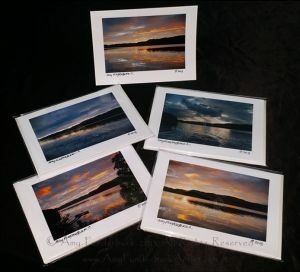 Currently, two five-pack photography collections are available: The Loch Ness Sunrise Suite (below) and The Trees of England and Cornwall (above). Each five-pack features one card of each design; single cards are also available. 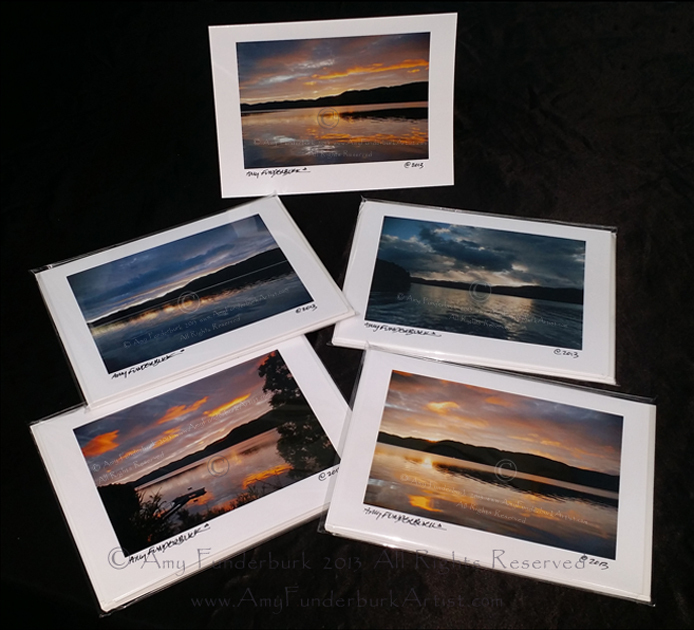 These cards are printed with the same quality Red River paper and archival pigment inks as the original photographs. 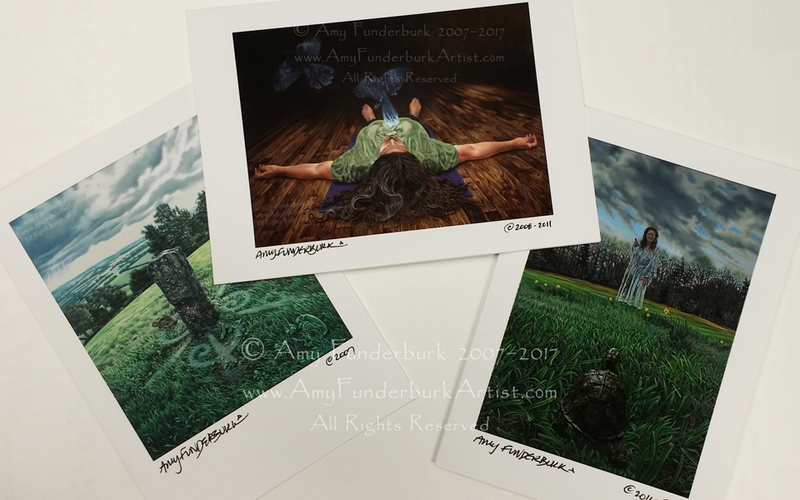 Three greeting cards are currently available from the visionary Images From The Otherworld series: Savasana — the Release, Manifestation of Rabbit, and Turtle’s Progress. Each card has been printed to accurately match the colors of the original paintings as closely as possible. These signed cards are printed on an acid-free matte stock with acid-free ink. Five-packs are only $25 USD, plus NC sales tax and/or shipping costs when applicable. Individual cards are only $5 USD each ($4 for Artist Proofs when available), plus NC sales tax and/or shipping costs when applicable. Please note that copyright protection watermarks do not appear on the actual photographs. Giclée Reproductions. 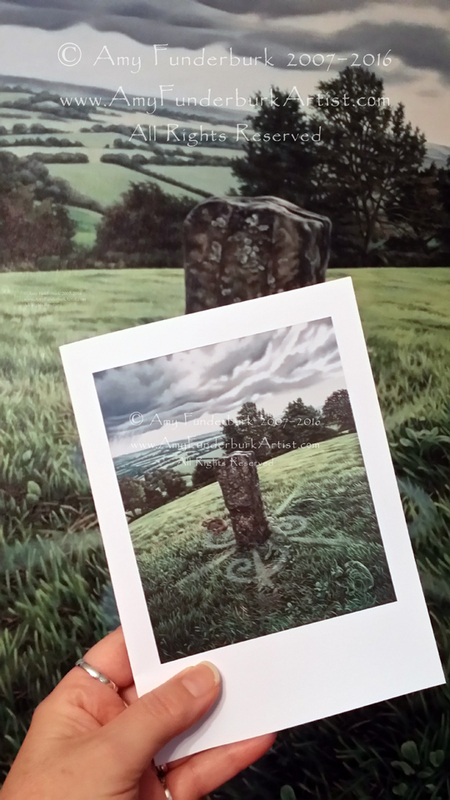 Two giclée reproductions are available of my works. Lakes of Killarney (Michael’s View) will be the only giclée made from the Aisling series of Irish landscapes. A giclée reproduction of Manifestation of Rabbit, the first painting in the Images From the Otherworld visionary series, is also available. Both are printed on archival rag watercolor paper with archival inks. Each size will be produced in limited editions of 100. For more information, please email me, or contact Mike Hill with Art Purveyors and Wildflowers Publishing toll free at (800) 861-DRAW to order a giclée. Please note: all prices are in US Dollars. Prices are for unframed giclées, and do not include any applicable shipping costs. Giclées of Manifestation of Rabbit from the series Images From the Otherworld are available in the following three sizes. The original work is a 30″ x 36″ oil on linen. 10″ x 12″ image area: 100. 15″ x 18″ image area: 200. 20″ x 24″ image area: 300. 8″ x 15 1/2″ image area: 100. 10″ x 19 1/3″ image area: 125. 12″ x 23 1/4″ image area: 175.